Charcoal gray, navy blue, black, and tan have carried your closet for long enough. 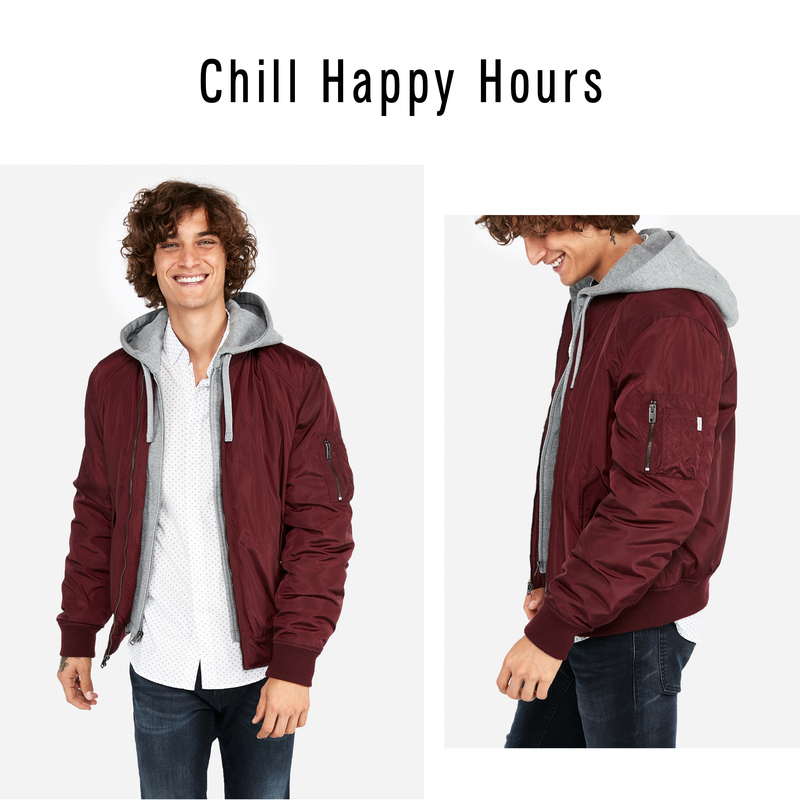 Now, just in time for cooler more jacket friendly weather, wine-hued menswear is where it’s at. The deep-red-but-not-quite-purple color known as burgundy is just as versatile as your go-to khakis and half as expected. Unlike other bold, trendy colors (we see you traffic cone orange), burgundy is easy for anyone to wear well. 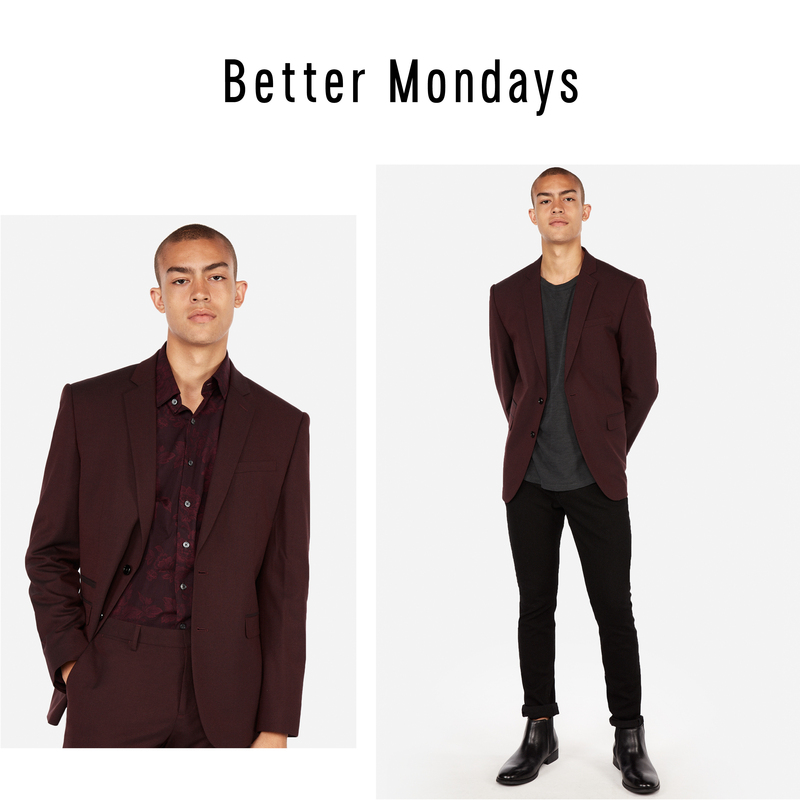 Just like taking a sip of a Pinot Noir or a Montepulciano, wearing burgundy will give your complexion a subtle flattering flush, making it a perfect complement for rainy days or boardrooms lit by fluorescent bulbs, and a solid bet on first dates. In fact, it’s such a great addition to your wardrobe we think you should give it a try in suiting, outerwear, and everyday basics. Here are three ways to work the heavy-hitting color into your fall lineup. We know the temptation to upgrade your outerwear come fall is hard to ignore, but we’re glad you waited. Because once you’re standing shoulder-to-shoulder with five other men in camel coats you might begin to regret your purchase. 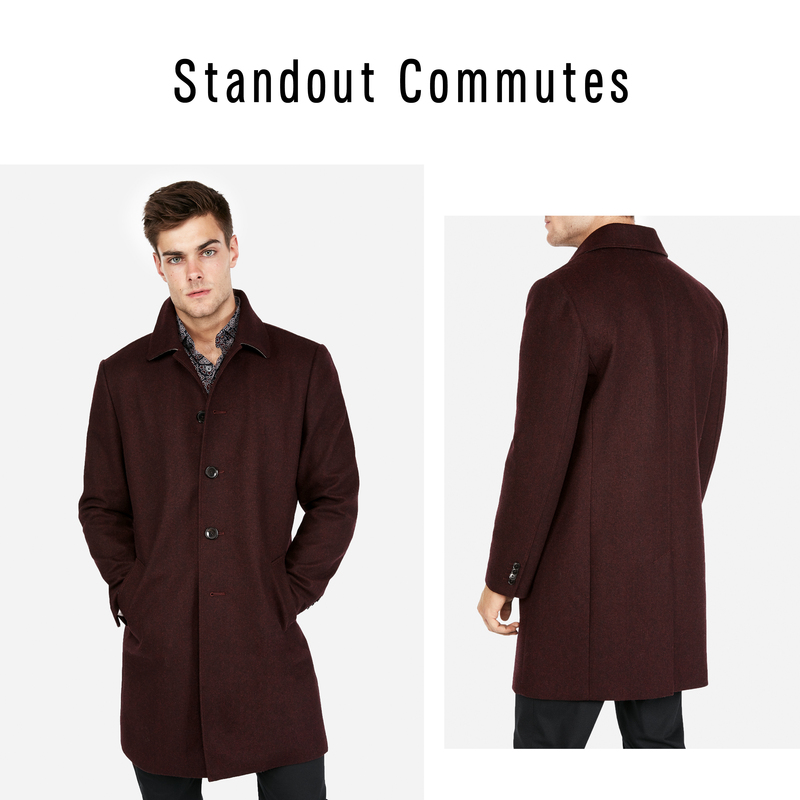 Instead, make yourself seen each morning and evening in our handsome burgundy topcoat. Worn with dark chinos, a baseball inspired sweater, and a pair of office-ready desert boots, you’ll never get confused for some guy named Kevin again. Nothing reinforces the dreariness of a Monday morning like a dreary suit. Cheer yourself up no matter how many meetings you have with a suit the color of your best vintage. Burgundy tailoring takes any guy’s office style up several notches and it will give you the kind of extra swag usually reserved for later in the week. While there’s nothing wrong with pairing your new kit with some white shirt basics, we’re hoping you’ll go just a little farther and wear it with a tonal patterned shirt (and skip the tie). Surprise! Burgundy isn’t just for work hours. In fact, there is no better way to celebrate your new love of the color than going out for a couple of glasses of red. This classic bomber jacket does double duty thanks to its removable fleece hoodie insert. Layer it (alone or with the hoodie) over a long sleeve tee, jeans, and a pair of fresh white kicks. You’ll thank us when the wine your neighbor clumsy spill blends in and rolls right off of your jacket’s slick exterior.